Written by Dr. Jacob Avila (@UltrasoundMD) and edited by Dr. Swaminathan. Definition: The presence of a clot in a superficial vein. Vascular clots are caused by a combination of venous stasis, endothelial injury and hypercoagulability. 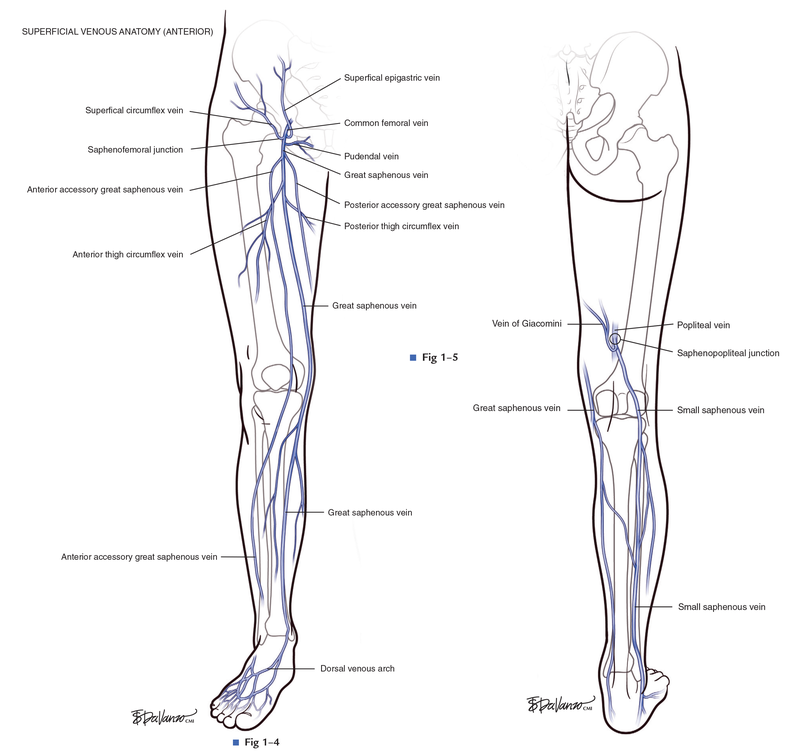 Pain and redness to an area in the distribution of a superficial vein. Tendernesss of the vein may precede redness. Clinical diagnosis involves visualizing an area of redness and swelling and palpating a painful cord along the path of a vein. The current objective test of choice is ultrasound demonstrating a non-compressible superficial vein, with or without echogenic thrombus inside of the vein. Due to the lack of large clinical trials evaluating the treatment of SVT, much of the literature relies heavily on expert consensus. There is no literature supporting or refuting using the same treatment in the evaluation of upper extremity SVT. If an SVT is uncovered in the lower extremity, a bilateral duplex ultrasound evaluating the deep venous system should be considered. SVT >5cm or <3 cm from the SFJ should be treated with anti-coagulation. The rate of concurrent DVT and PE in patients with SVT is 25% and 5%, respectively.